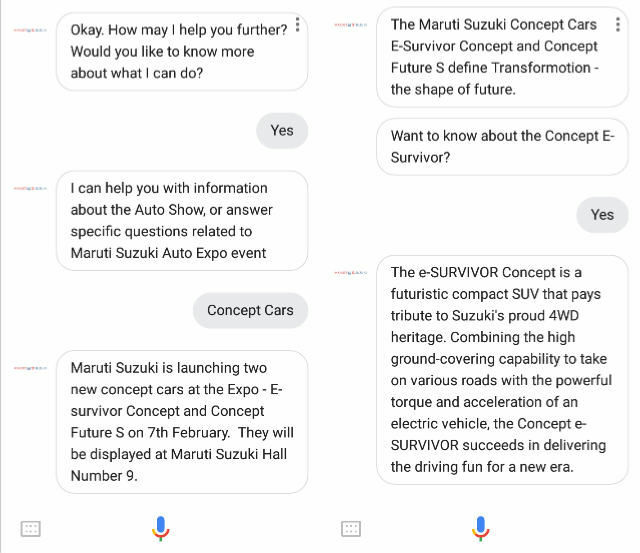 The Maruti Suzuki Assistant has been specifically tuned to address queries related to Auto Expo 2018, and any other queries will be linked to the Maruti Suzuki website. 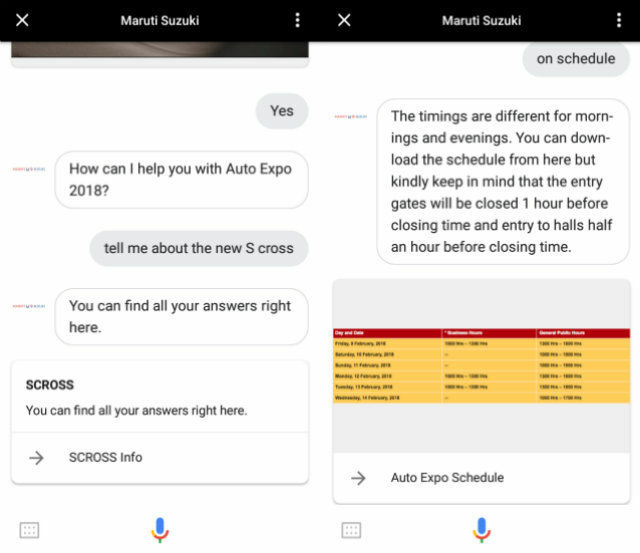 Maruti Suzuki introduced the Maruti Suzuki Assistant on Google Assistant. The Assistant has been tuned specifically for the Auto Expo 2018, and is designed to answer all queries surrounding Maruti's presence at the Expo. These details include full floor plans, day-wise schedule, launch details, and more information of the concepts and cars that the company is launching in India at the Expo. To fire up the Assistant, all you'll need to do is activate Google Assistant and say, "talk to Maruti Suzuki". This fires up the Assistant, following which you can ask all details regarding Auto Expo. The Assistant reads out specific segments describing the new concepts that are being presented at the Expo, and alongside provides details on where the exhibits will be presented, the launch times and other related stuff. You can also get details on the other aspects that Maruti Suzuki will have on show at the Auto Expo 2018, which include the Nexa Experience Zone. Maruti Suzuki will have one of the most anticipated launches of the year when it debuts the all-new Swift hatchback tomorrow. The mid-market hatchback has been one of India's favourite cars ever since it launched over a decade ago, and is now being introduced with a bunch of new equipment, which you can read all about here. Alongside, the company will also present two concepts - the Future S concept for a family SUV akin to the Vitara Brezza, and the e-Survivor concept that is powered by an all-electric powertrain and has a ladder frame chassis and four-wheel drive. The latter is an indication to Suzuki's plans for the future, where it views clean emission powertrains in line with a versatile range of specialised form factors in cars. 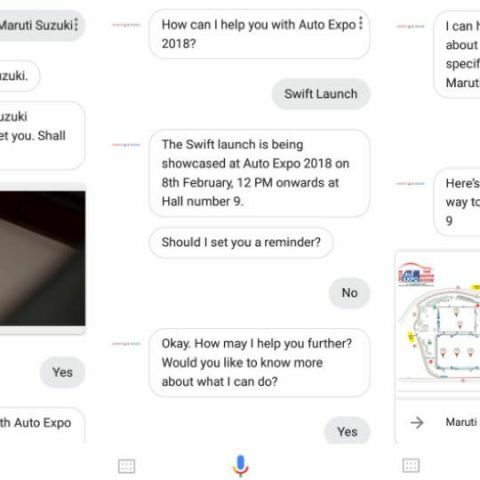 There are no separate updates that you would require for enabling the Maruti Suzuki Assistant, and it can be accessed on any phone with Google Assistant enabled. It gives a handy preview of what the company will have on show once it opens to the public on February 9 at the India Expo Mart, Greater Noida.